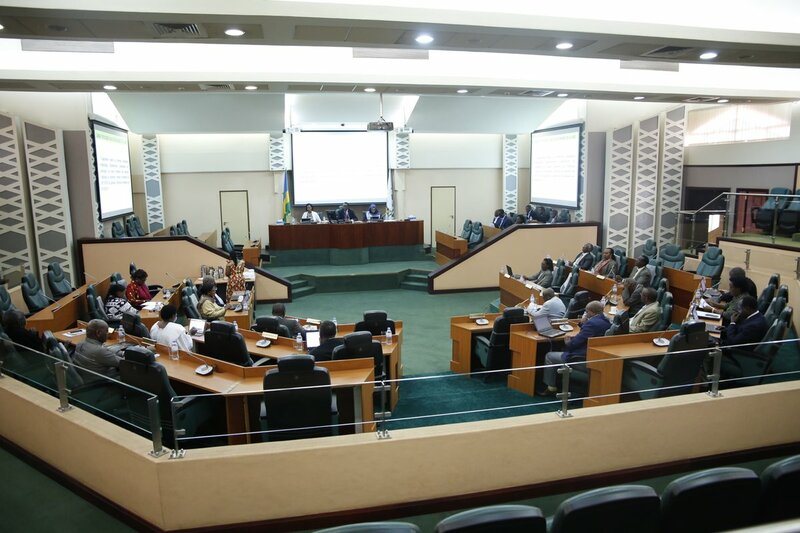 Rwanda’s Senate has come out against Rwanda Revenue Authority (RAA) – the country’s tax body – accusing it of a shaky tax administration policy resulting into loopholes in local revenue collection. On Tuesday March 26, RRA Commissioner for Domestic Taxes Aimable Kayigi Habiyambere and other commissioners appeared before the Senatorial Committee on economy to explain how they plan to increase revenues, tax payers and their collaborative activities with other organs in dealing with tax fraud. During appearance before the committee, Senators pinned the tax body over tax collection imbalances especially between big and small taxpayers. For instance, Senators asked the tax body to stop district officials from collecting uncalled for local taxes from citizens going to sell their animals to the market. “How can a villager pay tax on a goat entering the market place? What if they don’t sell the goat? Where did you get this idea that is being implemented by districts for the sake of collecting taxes?” asked Senator Evariste Bizimana. In response, RRA commissioners said they passed a directive last year ordering districts to increase taxation sources and districts have since been taxing citizens who bring their goods for sale at weekly market places. Other issues raised by the Senators include electronic billing defaulting and land tax regimes. For instance, Senate said that there are so many big and small businesses which don’t use the electronic billing machines (EBMs). In one of another circumstances, Senators said rural communities pay similar (1% on value) land taxes on land – same as those in the capital Kigali. “How do you expect a mother in Rusizi to pay the same tax on her land as someone in the city, and why is it that you (RRA) don’t have control over actions taken by district officials on taxes?” Bizimana asked. RRA said that the directive on paying market taxes was withdrawn, but senate commission used its field report findings to show market places where citizens are being asked to pay tax before entering to sell in the market. “You may have good intentions to collect taxes but unless this is done with a good intension, and monitoring its long term impact, we may end up losing on our targets because in the end these small tax payers will close down,” said Senator Consolee Uwimana. Even when RRA believes that its making progress increase on revenue collection (from Rwf90billion in 2009 to Rwf654.4 billion July-Dec 2018, revelations made during the commission hearing showed that Rwanda’s tax regime is currently very tight compared to the rest of East Africa community. “For example the tax threshold in Rwanda is at Rwf20m while comparatively Uganda has UGX32m (approx. Rwf10million) but yet Rwanda has more Value Added Tax (VAT) compared to Uganda, meaning that there is a need to have control over our tax administration,” said Aimable Kayigi Habiyambere RRA Commissioner for Domestic Taxes. Senate committee for economic affairs also asked that RRA also eases procedures of taxation and tax regimes so as to increase appetite of paying taxes instead of demoralizing tax payers. In conclusion, Senate recommended two solutions; that RRA start issuing free electronic billing machines (EBM) as a way of motivating more taxpayers and increase the current tax base, but also control local tax regimes considering the economic situation. RRA Commissioner Habiyambere said that they have some control on EBMs which has evolved in two versions – from general machine receipting to software based billing (e-signature receipts) but with control loopholes on small retails deals. “We have control of EBM versions where we can see transaction from producer to distributor, but the problem comes in when the retailors sell out the product and forges the prices on the receipt,” he said. To resolve this, RRA said in its five year plan of increasing tax sources and encouraging payment of taxes, that it will start giving out 1000 free EMBs starting next year and collect data on more taxable business starting with hotels, restaurants, bars, garages and retail shops among others.